Two Chicks On Books: Giveaway- 2 Finished Copies of The Lost Prince by Julie Kagawa!!! Giveaway- 2 Finished Copies of The Lost Prince by Julie Kagawa!!! Hey y’all! Thanks to Harlequin Teen and Big Honcho Media I have 2 finished copies of Julie Kagawa’s The Lost Prince to giveaway! I’m a huge fan of Julie’s books so I’m super stoked to be able to host this giveaway and get Ethan, Megan, Ash, Puck, Grim, and all of Julie’s Fey out there into the world! So fill out the Rafflecopter form below! With a vulnerable human girl to protect and an enigmatic faery ally he could never have imagined, Ethan embarks on his own Fey saga. Along the way he will encounter kin, comrades and deadly new enemies. He will discover his formidable strengths, and his deepest weaknesses—and he will fight for his life against the Forgotten. The second book in the Call of the Forgotten trilogy will be released November 2013. In addition to The Call of the Forgotten trilogy, Julie will be releasing book 2 of her Blood of Eden series, THE ETERNITY CURE, in May 2013. I feel like the Iron Fey series was one of those series that got better with each book. So Iron Knight was probably my fave. I haven't read Immortal Rules yet though. I've read them all and THE IRON KNIGHT was my favorite. I've read all of them and my favorites are The Immortal Rules and "Summer's Crossing." I really liked the first one! I LOVE them ALL! I've only read The Iron Fey (novellas too), but I own The Immortal Rules. I keep hoping I'll get to it- one day SOON! My absolute favorite of TIF has to be The Iron Knight. Ash is my book boyfran and I adored the story from his POV. I have the e-arc of The Lost Prince- and loved it of course. I'm dying to have it in print. OMG thank u for doin this i love her books & ahhh the iron fey was an amazing series that i read from her :) thanks again for the giveaway & thanks julie for writing the books. I've read all except this newest one. My favorite is still the first one: The Iron King. I've read all her books! My absolute favorites are The Iron Queen and The Immortal Rules! I love all of Julie's books. I especially love her different take on the vampire world in The Immortal Rules. Thanks for the chance to win The Iron Prine. That would be The Iron PrinCe... sorry typing too fast for my own good!! I have not had the pleasure of reading any of Julie Kagawa's books yet. However, I have heard so many positive reviews from book bloggers, that I am curious and would love to read them. I also love the book covers! They are beautiful. Thank you for the giveaway! My favorite book written by Julie Kagawa is The Iron Knight. The Iron Queen is my favorite book by Julie. Thanks for the giveaway! I haven't read any of her books, yet, but I have them on my to-read list. All the bloggers are going crazy, which means i need to read them! The Immortal Rules is my favorite. I love anything in the Iron Fey series! I haven't yet read any of the books, but they are on my To-Read list. I've read all of Julie Kagawa's books but I would have to say my favorite is The Iron Queen. Ive read them all and love em. Iron Knight is hands down my favorite. I have read the Iron Fey books and I love them all, so I don't have a favorite. I haven't read the last book in the Iron Fey series yet, the first one is probably my favorite so far, and I really want to read The Immortal Rules. It would be the Iron Knight. I love The Iron Daughter, but also a close favorite is The Immortal Rules! 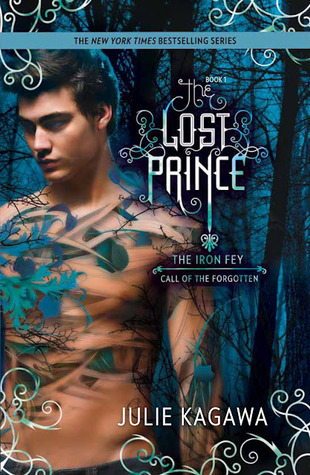 I've only read the first 2 books in The Iron Fey series, plus the first novella... but The Iron King is my favorite one. I <3 Ash! I haven't read anything by Julie Kagawa...YET!! I just got the first book in the Iron Fey series and can't wait to read them all. I have heard great things about this series! :) Thanks for the giveaway! I've read and loved all of her books- except for The Lost prince, so thanks for the chance to win it! My favorite? I don't really have one- I love them all! immortal rules is definitely my favorite book of hers. thanks for the giveaway! Probably the first book. I love when everything is new and exciting. I've read The Iron King but I can't wait to get to the rest of the series. I haven't read any of her books yet :( I'd love to start with this one so thanks for the chance! 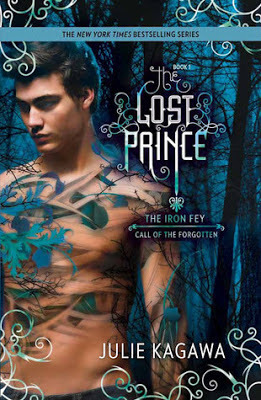 I only read the first book in the Iron Fey series bit I really liked it and I plan to buy the Iron Fey boxed set soon. I've read all her books, and can't wait for the new ones to come out. the iron knight is my fave. thanks!